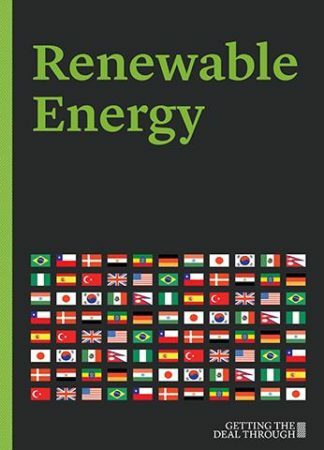 Getting the Deal Through – Renewable Energy is a timely overview of the key legislation and regulation affecting the development of renewable energy and clean power worldwide. Topics covered include: legal definitions of renewable energy and clean power; government and private participants in the renewable electricity sector; frameworks for developing, financing, operating and selling renewable energy; government incentives; utility-scale renewable projects; hydropower; distributed generation; energy storage; foreign investment; drivers of change in the renewable energy markets and anticipated legislative proposals. Benchmac & Ince contributed to the 2018 edition of Getting the Deal Through: Renewal Energy.